Remember when your mother used to tell you to eat your greens so you would be healthy? Remember when Popeye the Sailor Man ate his spinach to be strong? A new scientific study is recommending the exact same thing – eat more leafy green vegetables to have a healthy liver. Swedish scientists discovered that inorganic nitrate commonly found in leafy green vegetables was converted to nitric oxide (NO) in mice and this helped to prevent fatty liver disease. The study by researchers at the Karolinska Institutet in Sweden was published in the PNAS Publication of the National Academy of Sciences of the United States of America journal, December 17, 2018. Nonalcoholic fatty liver disease (NAFLD) or steatosis is the most commonly found liver disease in the world and according to the American Liver Foundation affects about 30% of all Americans which is about 100 million people. Fatty liver is strongly associated with obesity, overweight and metabolic disorders like type 2 diabetes. Metabolic syndrome is on the increase all over the world and is mainly seen in the dramatic rise in the numbers of type 2 diabetes which the World Health Organization (WHO) projects will reach 650 million people worldwide in 2040. NAFLD may not produce any symptoms and most people will not even know they have it unless it is discovered in an upper abdominal ultrasound or other diagnostic scan of the liver. It can be reversed with diet and exercise and in some people the disease comes and goes as they gain or lose weight. Even though it may not show any symptoms, it should not be ignored, as in some cases it can progress to steatohepatitis and then to more dangerous liver disease states like fibrosis and cirrhosis that can lead to liver failure and the need for a liver transplant. Mice were divided into three groups and each group followed a specific diet. One group of mice were fed a Western diet which was a high fat diet, another group of mice were fed a high fat diet but were given nitrates found in leafy greens. The control group of mice were fed an ordinary mouse diet. After seven weeks the mice were sacrificed and their tissues were examined to see what effects the various diets had on the mice. Even though both groups of mice that were fed a high fat diet gained weight and got more fat, the mice who had the added nitrates did not show high blood pressure and insulin problems that could lead to diabetes. Inorganic dietary nitrate preserves metabolic and cardiovascular function and decreases fat in the livers of mice. Nitrate also normalized blood pressure. The researchers stress that in order for the inorganic nitrate to be converted in the body to nitric oxide (NO), there has to be the right bacteria in the body to do this. In a separate study they generated mice that did not have the necessary bacteria to make this conversion and so there were no benefits from the nitrates. So if some people are lacking the necessary bacteria to make this conversion, eating leafy greens will not help them in any way. Previous studies also had shown that green leafy vegetables are protective against cardiovascular and metabolic disease and type 2 diabetes. In our blog post from March 15, 2018 we wrote about a study that showed that eating leafy greens, especially spinach, kale and Romaine lettuce could protect the brain against cognitive decline. Green leafy vegetables and beets were also found to be able to protect the eyes from damage from aging that can lead to vision loss and you can read more here in our blog post from October 26, 2018. When choosing a short or long-term rehabilitation or skilled nursing facility, be sure to take a look at the menus and choose a facility like the Royal Suites Healthcare and Rehabilitation in scenic Galloway Township, New Jersey that offers fine-restaurant style dining with delicious and healthy cuisine by their chef who works together with a dietitian. 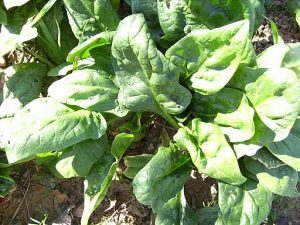 The scientists plan to do more research and carry out clinical trials to learn more about how nitrates in leafy greens will affect humans, but in the mean time they urge everyone to eat more leafy greens.